Post office Recruitment 2019-20 Latest Notifications:- Everyone have dreams to get high profile central Government Jobs with attractive salary. As, UP Post office conduct recruitment exam for MTS & Other recruitment notification, If you are looking for govt jobs in any where in Uttar Pradesh then, this page is for You. Here we provide all current running and upcoming Uttar Pradesh Post Office jobs notification detail. To makes your dream come true, Government of UP, Various Ministry & govt department, Directorate General, Post office Recruitment that is also known for hiring meritorious, young and motivated candidates to pursue Career in there frontier areas in sector for the Posts of Postal Assistant/Sorting Assistant, Postman, MTS and other 25 vacancies to recruited in payscale (Per Month) Rs.25500 (Below You will Get Complete Posts wise salary detail). All the un-employee candidates must read advertisement Notification carefully and satisfy themselves before applying online that they fulfil eligibility conditions. If you posses minimum eligibility criteria (i.e Qualification, Nationality, age limit & other essential requirement) then, you can directly get do online registration or Download application form pdf from official portal website of UP Circle i.e www.indiapost.gov.in or uppost.gov.in. Below you will get UP Postal Circle Jobs 2019-2020 current running Posts Vacancy Notifications detail. The Uttar Pradesh Post Office Recruitment Board inviting Online registration process or offline for applying application form in the prescribed format for willing & eligible candidates to fill upto 25 Posts in respective divisions/ units of Post office department. According to notification, Candidates will be selected on the basis of Written exam, Interview. Aspirant need to pass every selection stage to get appointed in any posts under UP Post office department. Minimum Educational qualification required for any given posts are SSC, ITI OR 10+2 Pass & equivalent qualification & age limit 18 Years to 27 years will be rockoned as on 20/2/2019 then, after candidates will be recruit under Postal Circle Jobs Vacancy 2019-2020 Posts. Uttar Pradesh Post office Upcoming & Current Running Posts Vacancy 2019:- Below you will get Eligibility criteria, Selection Process, salary per month, Experience (If need), Zone wise vacancies, Application form download link, official notification pdf download link, other term & conditions of appointment as per Posts wise. Application are invited in the prescribed format from eligible persons, who are Indian nationals, for recruitment given Posts for 25 vacancies by various employers indicated in the advertisement. Eligible candidates can now do online registration or download application form & official notification from the link below and then, applicant can fill downloaded application form in all respect with attachment of Qualification, Experience & all essential certificate send to the Send to any Uttar Pradesh Postal circle department (Assistant Director (Recruitment), Andra Pradesh Circle o/o Chief Post Master General, U.P. Circle, Lucknow -226001). Uttar Pradesh (UP) Post office Recruitment Posts 2019 Notification Detail:- All the interested jobseeker can now visit our website on regular basis to get central or state govt jobs in upcoming year 2019. Dear Jobseeker, Please ask your doubt in below comment box (Our team will respond & help you soon). Postal Circle Post office Going to publish bumper recruitment notification for filling willing & eligible candidates under UP Post office Circle vacancy 2019. Post office Recruitment 2019-20 Latest Notifications:- Everyone have dreams to get high profile central Government Jobs with attractive salary. As, Indian Post office conduct recruitment exam for GDS recruitment notification, If you are looking for govt jobs in any where in India then, this page is for You. 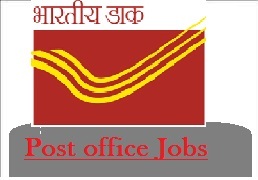 Here we provide all current running and upcoming India Post Office jobs notification detail. To makes your dream come true, Government of India, Various Ministry & govt department, Directorate General, Post office Recruitment that is also known for hiring meritorious, young and motivated candidates to pursue Career in there frontier areas in sector for the Posts of Assistant Accounts Officer and other 2411 vacancies to recruited in payscale (Per Month) Rs.10,000+. All the un-employee candidates must read advertisement Notification carefully and satisfy themselves before applying online that they fulfil eligibility conditions. If you posses minimum eligibility criteria (i.e Qualification, Nationality, age limit & other essential requirement) then, you can directly get do online registration or Download application form pdf from official portal website of Indian Post office i.e www.indiapost.gov.in. Below you will get India Post Jobs 2019-2020 current running Posts Vacancy Notifications detail. The India Post Office Recruitment Board inviting Online registration process or offline for applying application form in the prescribed format for willing & eligible candidates to fill upto 2411 Posts in respective divisions/ units of Post office department. According to notification, Candidates will be selected on the basis of Written exam, Interview. Aspirant need to pass every selection stage to get appointed in any posts under India Post office department. Minimum Educational qualification required for any given posts are 10th Pass & equivalent qualification & age limit upto 40 years will be rockoned as on 19/1/2019 then, after candidates will be recruit under GDS Jobs Vacancy 2019-2020 Posts. India Post office Upcoming & Current Running Posts Vacancy 2019:- Below you will get Eligibility criteria, Selection Process, salary per month, Experience (If need), Zone wise vacancies, Application form download link, official notification pdf download link, other term & conditions of appointment as per Posts wise. Application are invited in the prescribed format from eligible persons, who are Indian nationals, for recruitment given Posts for 2411 vacancies by various employers indicated in the advertisement . Eligible candidates can now do online registration or download application form & official notification from the link below and then, applicant can fill downloaded application form in all respect with attachment of Qualification, Experience & all essential certificate send to the Send to any India Postal circle department (If need). Post office Recruitment Posts 2019 Notification Detail:- All the interested jobseeker can now visit our website on regular basis to get central or state govt jobs in upcoming year 2019. Dear Jobseeker, Please ask your doubt in below comment box (Our team will respond & help you soon). Postal Circle Post office Going to publish bumper recruitment notification for filling willing & eligible candidates under India Post office vacancy 2019.